One of the United States’ most prestigious museums is to stage an exhibition charting the history of West African culture and fashion. Philadelphia Museum of Art will explore the story of Vlisco, focusing on the world’s oldest international textile brand. The “Creative Africa: Vlisco” exhibition, examining both classic and contemporary styles of Dutch wax fabric, is due to take place in January 2017. On display will be thousands of different designs, from the earliest patterns to the most recognisable, iconic styles that are popular today. Exhibition co-organiser Dilys Blum says the Vlisco fabrics associated with West Africa have a global history, telling stories and conveying images that reflect Africa’s rich heritage. The international character of Vlisco will be celebrated by showing the company’s classic designs alongside new, contemporary patterns that show how fashion designers in West Africa and the rest of the world use the wax fabric. The exhibition will explore how the patterns reflect current events, religion, politics and culture, acquiring different social meanings and status. Among the patterns on display will be the famous egg motif, with an image of a hen and chicks, representing the “happy family” message to reinforce the importance of family. 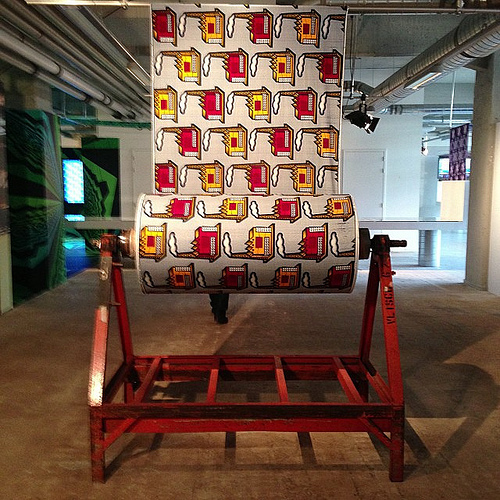 Also on display will be Ghana’s “fallen tree” pattern, representing strength and unity. One of the most famous designs is the swallow, a symbol of good luck. This pattern was worn by Air Afrique flight attendants throughout the 1970s and was later reinterpreted to include images of aeroplanes, the symbol of globalisation. One of the most enduring designs is the eye pattern, based on an original 1904 design produced by the Haarlem Cotton Company and inspired by the Egyptian god Horus. It represents a symbol of good health, protection and royal power. The patterns have different meanings, depending on where they are worn. For example, in Côte d’Ivoire, the “jumping horse” pattern depicts rivalry between co-wives, while in Nigeria, Igbo women wear this design to express family unity at their annual women’s meeting. The exhibition will also trace the rise of Togo’s successful market women who traded in wax prints from the 1930s, enjoying huge success. They began to provide Vlisco agents with details on customers’ preferences and, in return, were given exclusive access to some of the designs. Some of the contemporary designs created from Vlisco by African and international designers will be displayed on mannequins in the centre of the gallery. Renowned Nigerian fashion designer Lanre da Silva Ajayi’s famous gala dress, made in a limited-edition gold print and embellished with her signature sequins and beads, will be among the exhibits. If you’re keen to rediscover the vibrancy of Vlisco fabrics, we have designs to suit all tastes here at Empire Textiles, ready to ship to you wherever you are in the world.